6124 White Daisy Ct, McFarland, WI.| MLS# 1849407 | John Reuter Realtor/Broker/Owner of The Reuter Team. Wisconsin Homes for Heroes Realtor. Proud to be the Top Homes for Heroes Realtors in Wisconsin and One the Top Homes for Heroes Realtors in the United States. Estimated Completion April 30th, 2019. McFarland, Available for purchase now! 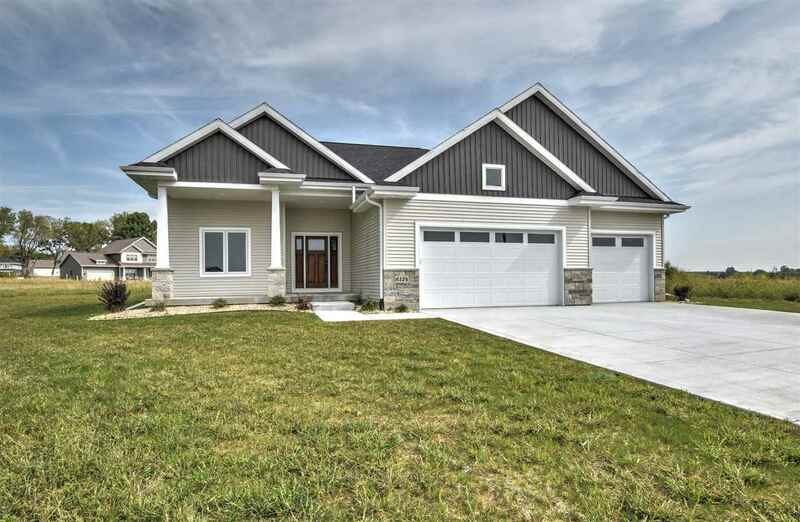 and ready for you to make the finishing touches on this beautiful custom built ranch home by Gannon Construction. Sitting on the end of a Cul-de-sac lot backing up to views of green space farm fields. This home boasts soaring 11' tall ceilings in the great room and foyer and guest bedrooms. Open concept layout, breakfast bar, huge walk in pantry, mudroom/laundry main floor. Huge master sweet with picture windows overlooking green space and fields. Call for private showing and list of finishes today. Directions: South On Sigglekow, East On Mn. Left On N. Peninsula, Right Onto White Daisy Ct.